Despite the impact of European culture, Aboriginal art flourishes. There are numerous art galleries, museums, places and indigenous cultural centres around the country that are well worth a visit. Aboriginal Cultural Centres in Sydney, Melbourne, Canberra, Perth, Adelaide, Darwin, Brisbane and scattered throughout the States. 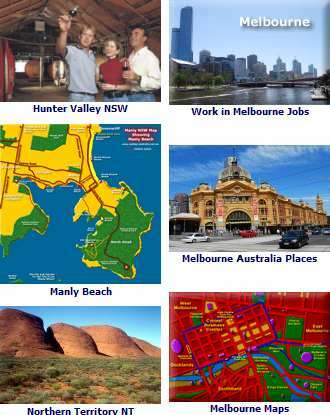 Visit one or more of these centres for a unique look at Australia, its life, history, art and culture. 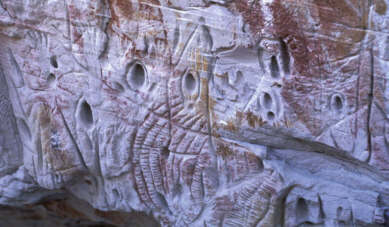 Ancient Art About Aboriginal Rock Art. Aboriginal Art Shop - Upper Concourse, Sydney Opera House, Ph +061 2 9247-4344. Aboriginal and Pacific Arts - 2 Danks Street Waterloo, Ph +61 2 9699 2211. Aboriginal and Tribal Art Centre, First Floor, 117 George St, The Rocks. Phone +061 2 9247 9625. Blackbooks, 11 Mansfield St, Glebe, Phone +061 2 9660 2396. Boomalli Aboriginal Artists Co-op, 55-59 Flood Street Leichhardt, Phone +061 2 956 02541. Coo-ee Aboriginal Art Gallery, 31 Lamrock Ave (cnr Chambers Ave), 61 2 9300 9233. Gavala Aboriginal Art & Cultural education centre, Shop 377/ 131, Harbourside Centre, Darling Harbour, +061 2 9212 7232. Hogarth Galleries, 7 Walker Lane, Paddington, Phone +061 2 9360 6839. Utopia Art Sydney, 2 Danks Street Waterloo, Phone +61 2 9699 2900. Art Gallery of New South Wales - One of the world’s best collections. See Sydney CDB Map. The Australian Museum. Has a number of galleries dedicated to Aboriginal Art and artefacts. See City Central Map. Also located in the city is the Museum of Sydney, with exhibitions on Australian Indigenous themes. See Map of Sydney CBD. 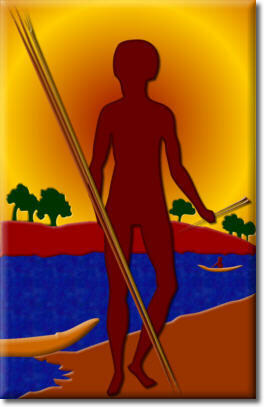 The indigenous people of Australia people, is the the world’s most ancient living culture. Having a continuous history spanning over 50,000 years, theirs is the oldest story on Earth, providing an irrevocable understanding of the birth of our land, its cragginess, spirituality and wonder. You can take your other senses on a 50,000 year journey too; hunt and cook, or simply taste ’bush tucker’ the native foods of our Aboriginal people - hear the chants and incantations of their ancient stories, or marvel at the modern expression of their culture through dance, theatre, film and exhibitions. In Sydney and throughout Australia, there are a number of growing Aboriginal owned and managed tour operators. They offer wonderful tours and experiences where you can explore some of the depth and breadth of Aboriginal culture, both today and from the past. Muru Mittigar Cultural Centre. Muru Mittigar provides you with the opportunity to participate and interact with members of the local Aboriginal community. There are live performances, tours and much more, including lessons in boomerang throwing. Located in Penrith, near the International Regatta Centre. See Muru Mittigar Cultural Centre. Walangari Karntawarra and the Diramu Aboriginal Performers. Renowned Aboriginal Artist, Musician, Teacher, Consultant and Guide with the Diramu Dance Troupe Walangari Karntawarra. Thullii Dreaming - Traditional dance, authentic bush tucker, arts and culture. Experience Aboriginal Australia with a Sydney Harbour Cruise. Also corporate and educational training, hand crafted giftware and cultural tours and camps to the Hunter Valley. See Thullii Dreaming. Cronulla Cruises launched the Tour of Djeebahn, an Indigenous Sight Seeing Tour on the Port Hacking, located at Cronulla in the Sutherland Shire. Explore Aboriginal Culture and ancient ways. Enter our dreaming, as we reveal our country and show you how we lived before European settlement took over our land. See Cronulla Cruises Tour of Djeebahn. For an online Aboriginal cultural experience see the Us Mob from Hidden Valley, Alice Springs, with broadband flash, video and games. See The Us Mob. Blue Mountains Walkabout Tour - Explore the ancient Blue Mountains through Aboriginal eyes - the country, culture and ancient wisdom. 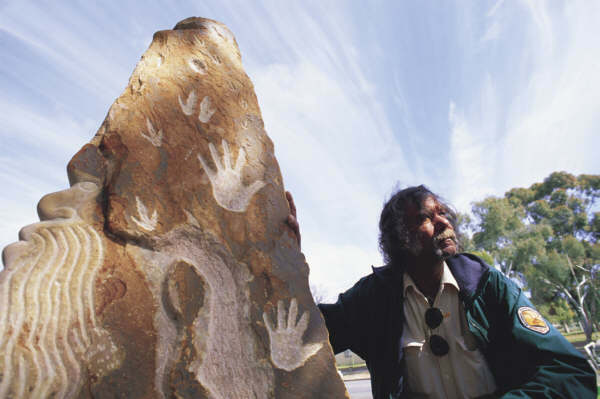 The tour also encompasses art, ceremonial sites, artefacts and dreamtime stories. Blue Mountains Walkabout. Thought about working in Australia? Find out more about Work in Australia. You may also be eligible to work while studying here. More about Study in Australia.